There’s probably a few kids feeling like they’re the smallest kid in the smallest grade at school right about now. This charming story shows that size doesn’t matter. 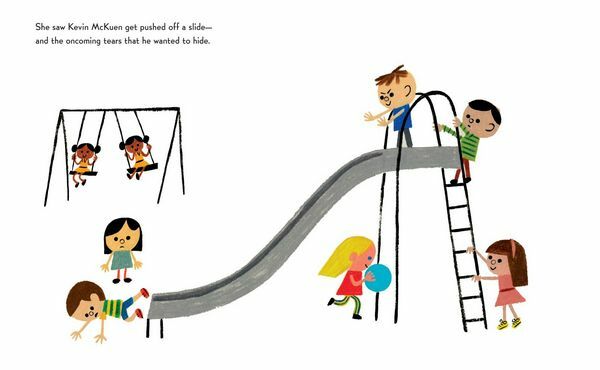 Meet Sally McCabe – she’s the star of Justin Robert’s picture book, The Smallest Girl in the Smallest Grade. As the title suggests, Sally was the smallest girl in the smallest grade. She notices everything, from tiny details such as the 27 keys on the janitor’s ring to bigger things, like nasty behaviour and bullying in the playground (although others weren’t aware “…that Sally was paying super extra special attention.”). One day, Sally decides to take a stand, “I’m tired of seeing this terrible stuff,” she proclaims, sticking her finger emphatically in the air. “Stop hurting each other! This is enough!” and she discovers that size is irrelevant when it comes to creating change. The theme of the story focuses on leadership and standing up for what you believe in, however, through the character of Sally, Roberts also manages to capture the importance of mindfulness and the idea of ‘paying it forward’. 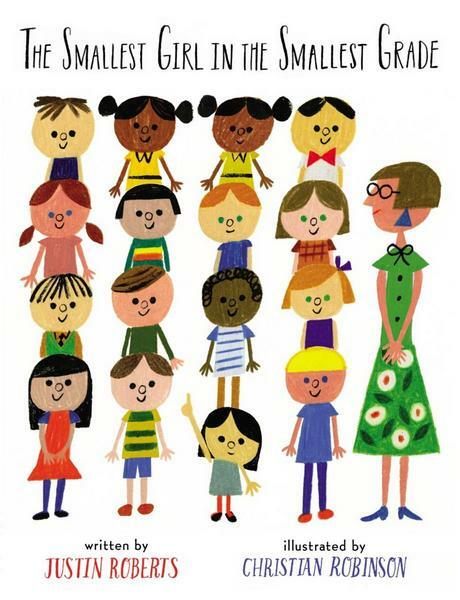 The Smallest Girl in the Smallest Grade is illustrated by Christian Robinson, whose vibrant, uncluttered pencil drawings capture expressive little Sally and the school setting perfectly. 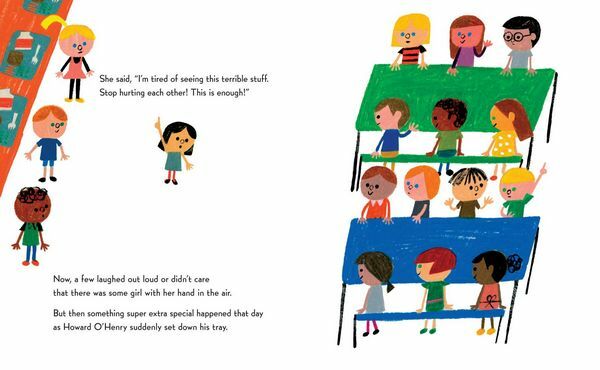 The Smallest Girl in the Smallest Grade is suitable for readers aged four years and over. Find it online at Book Depository which delivers free to Australia.